Malice toward none: 150 years ago, Lincoln sought to heal the nation in his second inaugural address. The end of the Civil War was in sight. Re-election had come in a landslide. 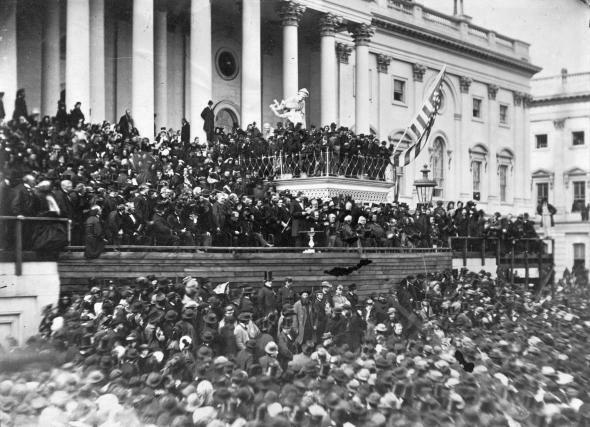 Rainy weather and muddy grounds could not dampen the optimism that surrounded Abraham Lincoln’s second inaugural address, delivered 150 years ago today. To mark the occasion of his inauguration, celebrate the end of slavery and call for healing the nation, he needed only 700 words. By comparison, Presidents Bush and Obama each gave addresses approximately three times that length for their second inaugurations.